The service is second to none and ECL continues to be on the top of my list for my couples. It was great working with you again for another happy couple! 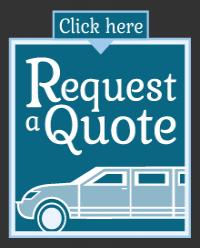 I am always impressed working with East Coast Limos from the communication and planning in the lead up, to all the great little details on the wedding day. The service is second to none and ECL continues to be on the top of my list for my couples. Looking forward to working together again in the future. Peter (chauffeur) was superb! We were more than satisfied with his service - the rain held off, the pics at the baseball field happened and the 1 o'clock AM pick up was perfect. Thanks again for providing excellent service! We were very happy with the service and excellent staff. Thank you so much. Yes, we were very happy with the service and excellent staff. Peter was my chauffeur and he is a pro. Thank you and I hope we contact you soon for more services. Can't think of any way to improve the experience. Thank you very much! Mike (chauffeur) was excellent as was the limo. Can't think of any way to improve the experience. Thank you very much! I would highly recommend your services to anyone looking! I believe my guests should have been more than satisfied, Mike (chauffeur) was extremely accommodating and it was very much appreciated! It was FANTASTIC! Our chauffeur (Rick) even let us stop for 10 minutes to use the washroom, the stereos were amazing, and everyone just had a good time! Everyone said it was their favourite part of the night! East Coast Limos is definitely our top recommendation to family and friends every time! We had a wonderful experience, and Shawn (chauffeur) was excellent! We had a wonderful experience, and Shawn (chauffeur) was excellent! Thanks for helping make our event special. Thank you for making their day even more special. The boys really appreciated their trip to Ottawa (for Prom). Shawn (chauffeur) was also really nice. Big fan of Mike (chauffeur) and you guys made our evening worry free. It was nice! I am very happy that we decided to go with East Coast Limos. I am very happy that we decided to go with East Coast Limos. The service was fantastic and I know I can speak on behalf of all of us that it made our prom great.